Coconut Oil – Superfood or Superfad? Coconuts seem to be popping up left, right and centre as the latest health trend. Coconut oil in particular has attracted a large vegan following, as its rich buttery taste and texture offer an alternative to animal fats such as butter. Just a quick Google search of the fruit results in thousands of results – coconut water, coconut oil, coconut milk. In all its forms, coconut is being heralded as this year’s new superfood. However, for all the claims that it can solve a multitude of health ailments – everything from boosting metabolism to beating stress and lowering cholesterol – is the humble coconut really everything it’s cracked up to be? 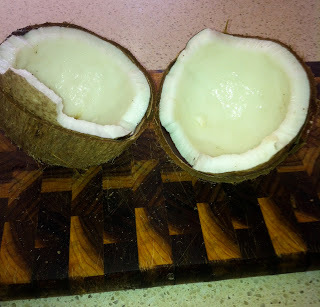 To view the rest of my thoughts on coconut oil, visit Jemma O’Hanlon’s blog to read my guest post!